The Learning 2.014 Conference was this weekend and it was amazing! Great presenters, great site and great info! 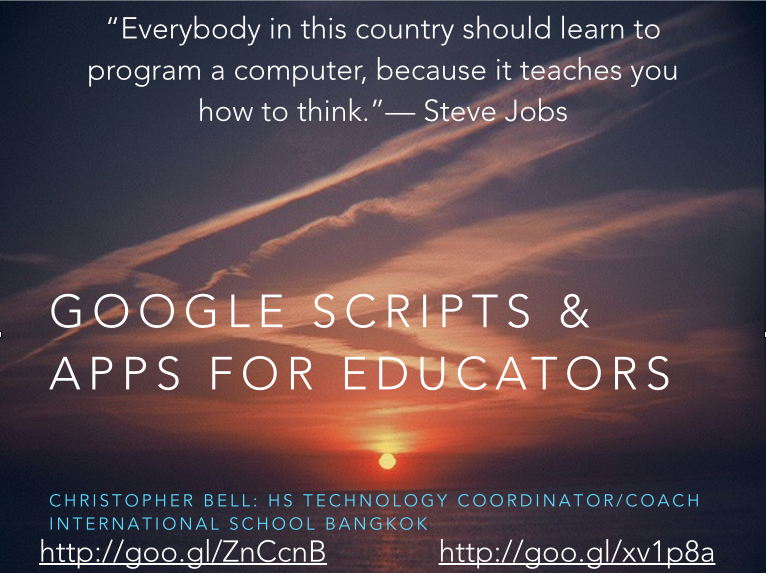 I presented on Advanced Google Apps – looking specifically at Scripts and App for Education. Thought I would share out my presentation and resources. There is a toolbox of Apps and Scripts we investigated for educators. Enjoy! Previous Post: Newsela – Articles for students! Next Post: Cool Stuff for YOUR Class!